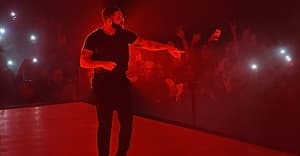 Drake’s favorite British TV show will be brought back by the streaming service. British drama Top Boy will come back for at least two new seasons thanks to Netflix, Radio Times reports. The show originally aired between 2011 and 2013 but was not renewed by Channel 4, who first broadcast it in the U.K. The 2 original seasons, which offered a stark and violent look at gang life in east London, are currently available on Netflix in both the U.K. and U.S. The Radio Times report suggests that an announcement about its renewal is "expected to be made imminently." Speaking to BBC News, Top Boy star Ashley Walters said there's nothing to confirm "as of yet", [but] there may be an update in November. Since Top Boy finished in the U.K. it has earned a new fan in Drake. It was reported in 2016 that he stepped in and purchased the rights to the show. Walters subsequently claimed the producers were looking to find a role for their Canadian benefactor on the show. Similarly Skepta revealed he was also assisting with Top Boy's revival. Representatives for Netflix were not immediately available for comment.